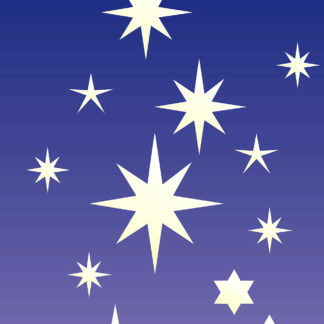 Use this Oversize Star Stencil to create maximum starry impact. 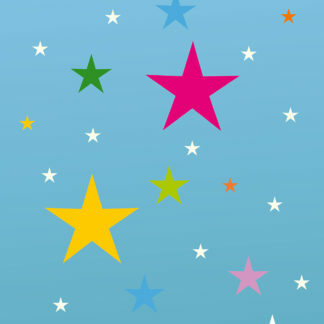 This stencil is a single sheet stencil containing three five pointed stars, in oversize, large and medium sizes for creating large stellar effects. See size and layout specifications below. 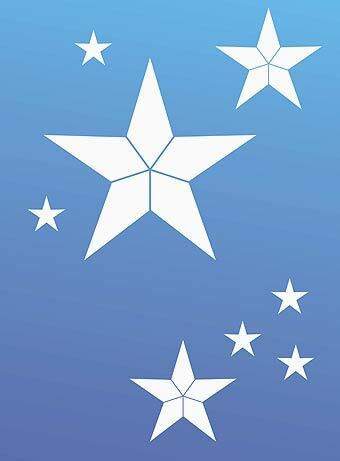 Use in conjunction with the Small Five Pointed Stars Stencil. 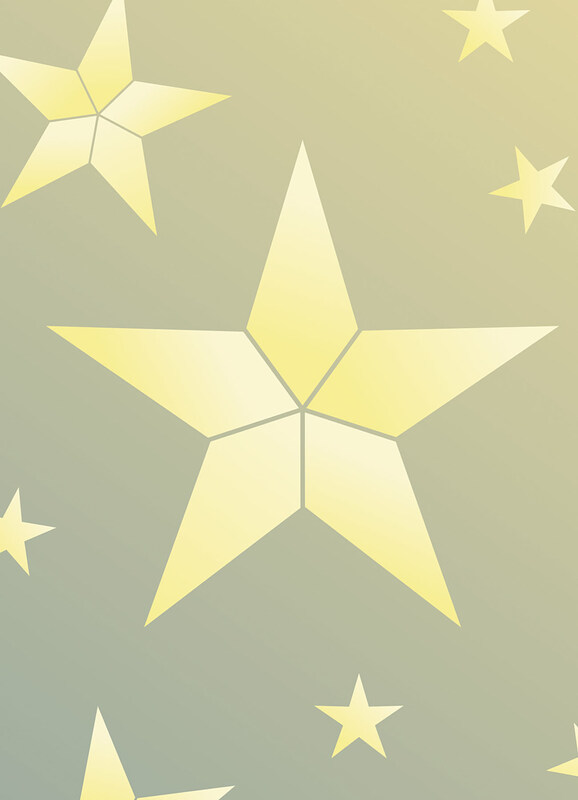 Stars are popular shapes for decorating both walls and ceilings in bedrooms, studies and in children’s rooms. They are also fantastic for seasonal or winter decorating. 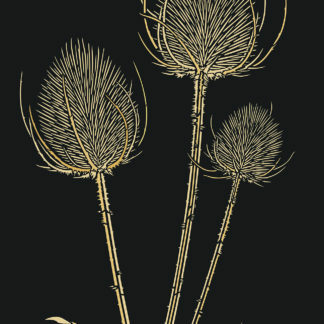 Stencil in Ice White or Evening Primrose Stencil Paint on dark backgrounds with graduating colours in black, blue, indigo, turquoise and more, with Pearl, Silver Lights or Antique Gold Metallic Stencil Paints to add an extra reflective lustre, or use our Glitter Paints for children’s rooms. 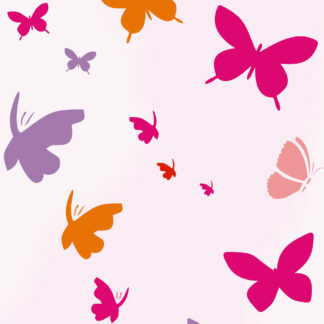 Or use a range of fun colours to create a multi-coloured, modern effect on pastel coloured backgrounds such as pink, aqua, mint or off-white. 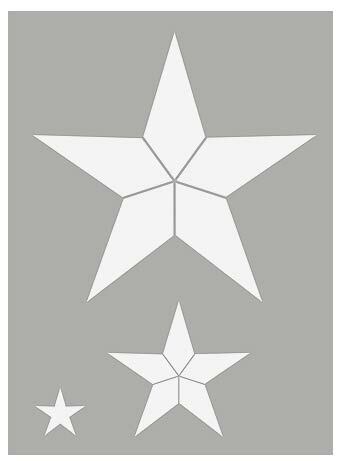 Above top and below – the three star motifs of the Oversize Star Stencil are repeated randomly and tilted at different angles in Vanilla and Evening Primrose Stencil Paint on a grey and lemon background. 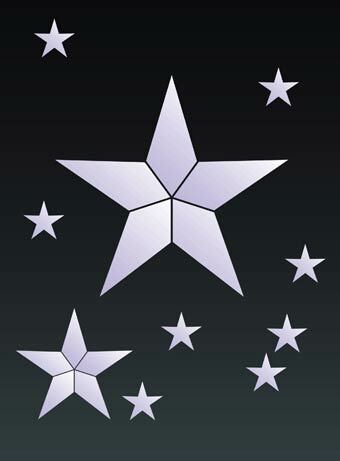 Above – the three stars of the Oversize Star Stencil, repeated randomly on a charcoal background and stencilled in Ice White and a little Shoreline Stencil Paint, with Pearl Metallic Stencil Paint. 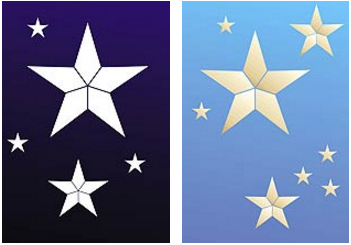 Above – the three stars of the Oversize Star Stencil, repeated randomly on black to blue (above left) and blue to mauve (above right) graduated backgrounds and stencilled in Ice White Stencil Paint and Antique Gold Metallic Stencil Paint (above left). See bottom right for graduated painting techniques. 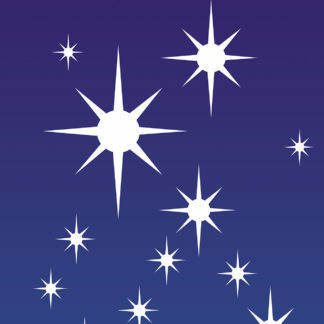 Above – the three stars of the Oversize Star Stencil, repeated randomly on a blue-mauve graduated background and stencilled in Ice White Stencil Paint (see notes below for graduated painting techniques.) 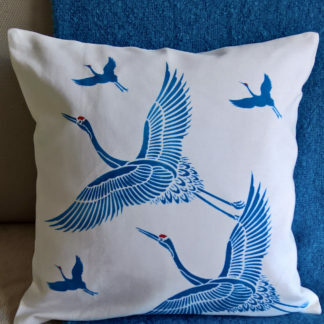 Use Pure White Fabric Paint on different blues or black cotton fabric to create this effect for curtains. 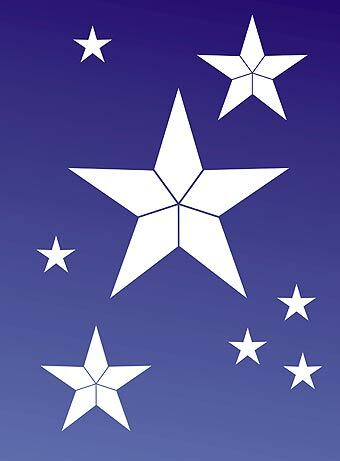 Above – the three stars of the Oversize Star Stencil, repeated randomly, stencilled in Ice White Stencil Paint, on a mid blue to deep blue graduated background (see below for graduated techniques). 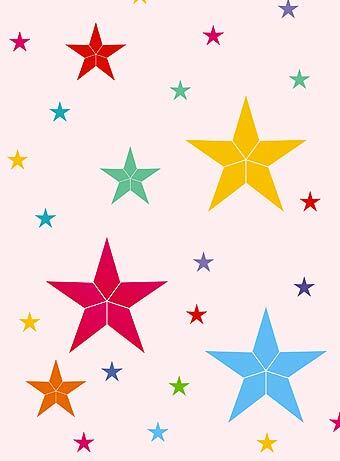 Above – the three stars of the Oversize Star Stencil, repeated randomly on a pale pink background and stencilled in a combination of bright colours. Any bright tones will work well for this. 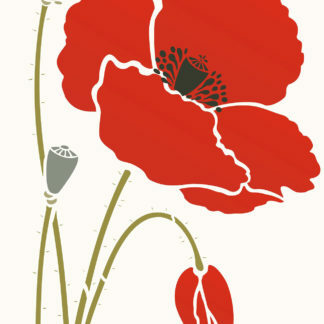 Our example is stencilled in Harvest Gold, Seville Orange, Paradise Blue, Summer Skies, Cerise, Agapanthus, French Lavender, Oasis and Verbena Stencil Paints. The oversize star is approximately 57cm (22 1/2″) across. The large star is approximately 29cm (11 1/2″) across. The medium star is approximately 10cm (4″) across. 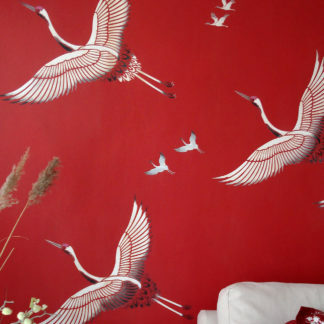 Sheet Size 90cm (35 1/2″) deep x 66cm (26″) wide. Left – the layout of the stencil sheet of the Oversize Star Stencil.